LONDON (Reuters) - Electric vehicles and more efficient fuel technology will cut transportation demand for oil by 2040 more than previously expected, but the world may still face a supply crunch without enough investment in new production, the International Energy Agency (IEA) said on Tuesday. "In the New Policies Scenario, demand in 2040 has been revised up by more than 1 million bpd compared with last year’s outlook largely because of faster near-term growth and changes to fuel efficiency policies in the United States," the agency said. The IEA believes there will be around 300 million electric vehicles on the road by 2040, no change on its estimate a year ago. But it now expects those vehicles will cut demand by 3.3 million bpd, up from a previous estimated loss of 2.5 million bpd in its last World Energy Outlook. "... Efficiency measures are even more important to stem oil demand growth: improvements in the efficiency of the non-electric car fleet avoid over 9 million bpd of oil demand in 2040," the IEA said. On the supply side, the United States, already the world's biggest producer, will dominate output growth to 2025, with an increase of 5.2 million bpd, from current levels around 11.6 million bpd. 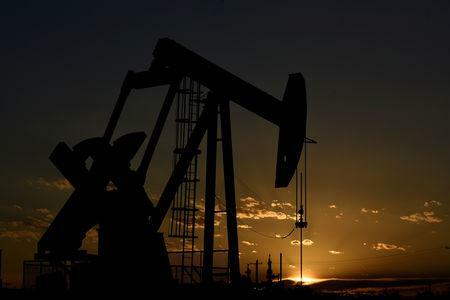 From that point onwards, the IEA expects U.S. oil production to decline and the market share of the Organization of the Petroleum Exporting Countries will climb to 45 percent by 2040, from closer to 30 percent today. "Without such a pick-up in investment, U.S. shale production, which has already been expanding at record pace, would have to add more than 10 million bpd from today to 2025, the equivalent of adding another Russia to global supply in seven years – which would be an historically unprecedented feat."